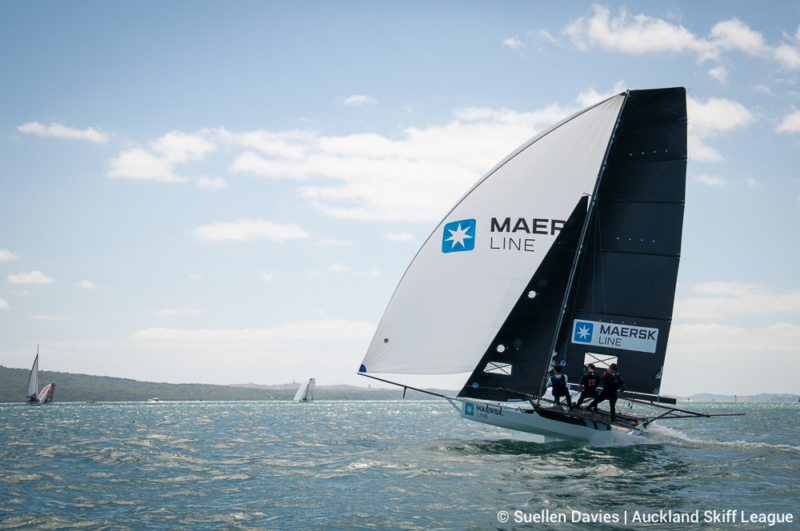 The 18′ Skiff Maersk Line has a new crew on board with Peron Pearse taking the helm for the first time this season. Pearse, originally from Western Australia, sailed a variety of other skiffs before moving to Auckland three years ago. 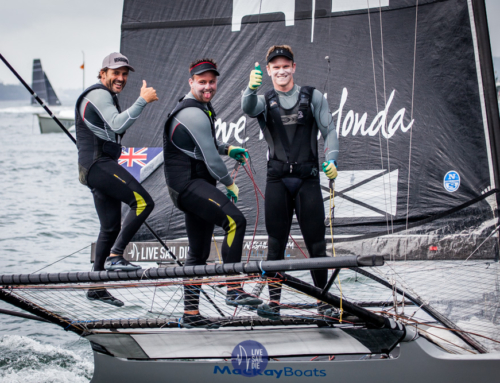 Now a coach for the Royal Akarana Yacht Club and the Royal New Zealand Yacht Squadron, Pearse has teamed up with Hamish McGill and Josh Wijohn to take on the high performance 18′ Skiff Maersk Line. Graham Catley, who retired from skiff racing after the 18′ Skiff European Championship, is thrilled that a youth team is taking on the challenge of racing in a high performance class. “They will have a lot of learning to do, but I have no doubt in my mind that Peron will be able to tame the beast as he progresses through the season. The Auckland Skiff Champs will be the perfect chance for him to gauge where he is at,” said Catley, who has moved into a coaching role for the fleet. Maersk Line lined up against the fleet on Sunday 3rd December for the first time after missing day one due to his crew having other commitments. “We have a long way to go but I’m confident that we can mix it up with the rest of the fleet,” said Pearse. 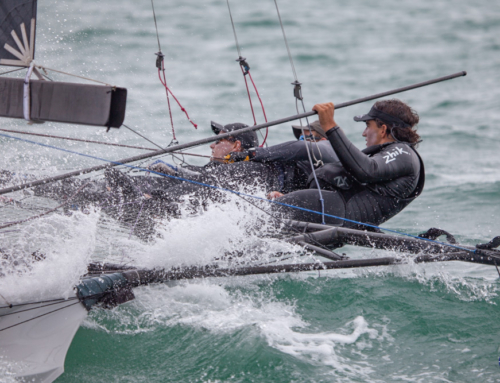 The Auckland Skiff League races every second Sunday with the alternate Sunday bring a coaching and training session. The fleet is gearing up for the big event on the 18′ Skiff calendar, being the JJ Giltinan Championship in Sydney in 2018.